Read more from the Dec Issue of Athleisure Mag and see In Our Bag | After the Ball Drops in mag. 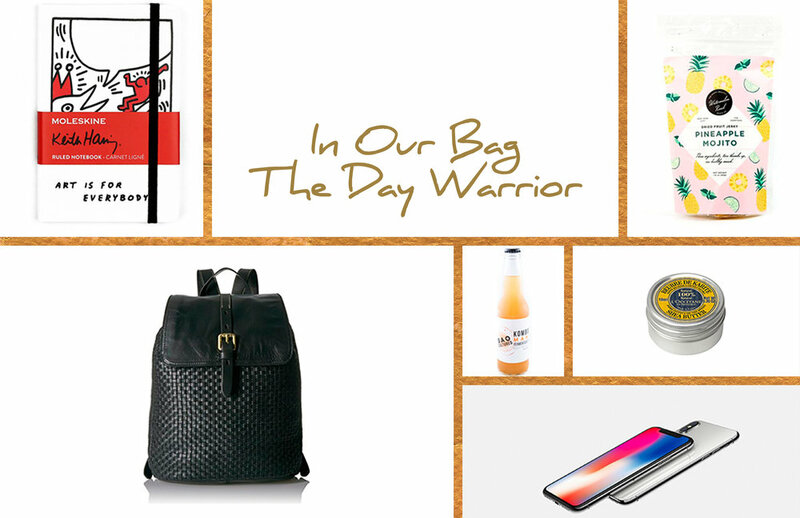 Read more from the Nov Issue of Athleisure Mag and see In Our Bag | Prepping for the Holiday in mag. 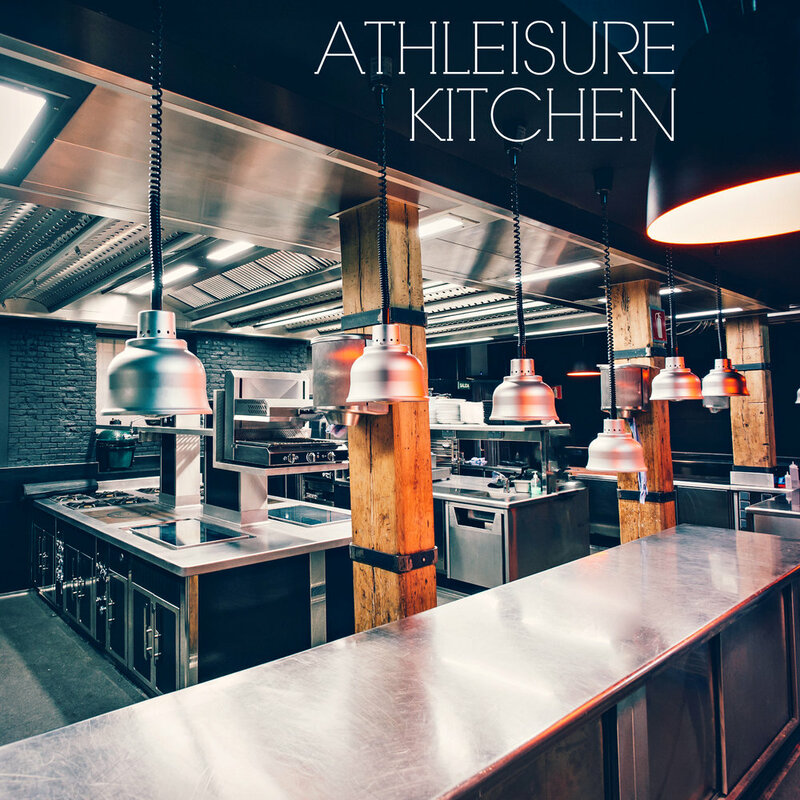 Read more from the Oct Issue of Athleisure Mag and see In Our Bag | After the Studio in mag. Read more from the Aug Issue of Athleisure Mag and see In Our Bag | Summer's Last Hurrah in mag. Read more from the June Issue of Athleisure Mag and see In Our Bag | Attending a Sip & See in mag. Read more from the May issue and see In Our Bag in mag. Read more from the April Issue and see In Our Bag | Safe Sun Kit Essentials in mag. We've officially entered the holiday season when you're bag is filled with gifts for your co-workers, friends, ladies who brunch and more. We have a great list of items that are small but powerful that you can have at the ready and shows that you know what your friends and family will enjoy. 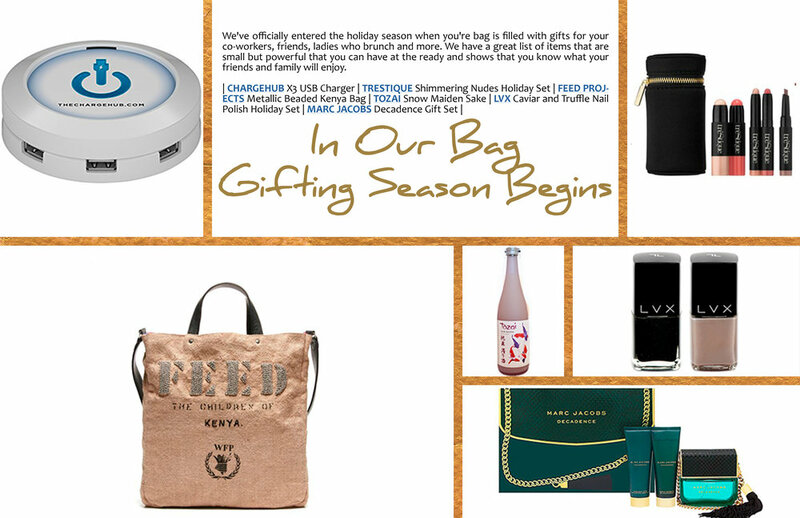 Read more from the Nov Issue and see IN OUR BAG | Gifting Season Begins in mag. It's one of our favorite times of the year - Tailgating Season! Who doesn't love pre-gaming with your friends and bringing a few necessities to ensure that the party continues during and after the game. Of course, we have a few style finds as well as some culinary treats and a charging system that will ensure that you stay social while being social. 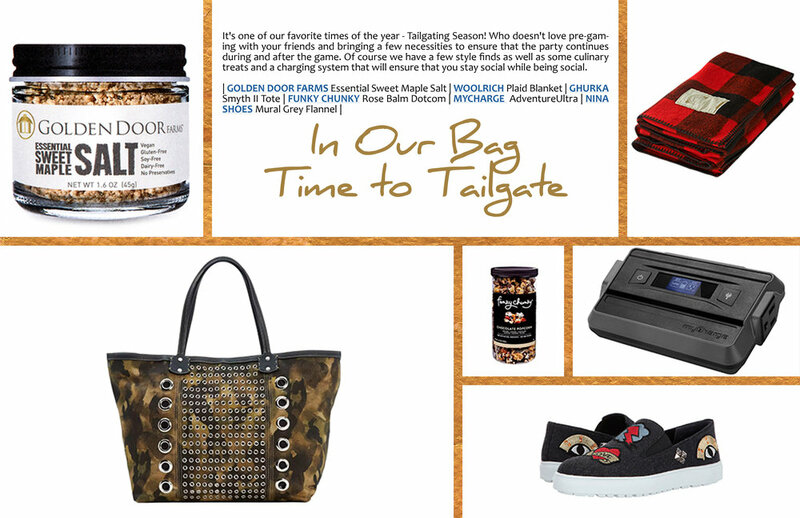 Read more from the Sept Issue and see In Our Bag | Time to Tailgate in mag. from point A to Point B. 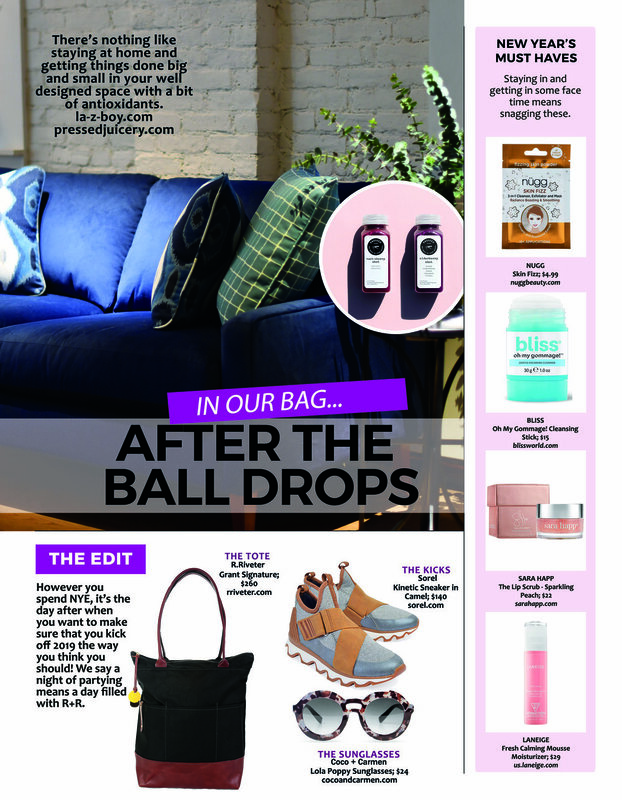 Whether you're making sure the heat doesn't do a number on your tresses, changing your makeup or simply getting a refresh - you can do it all in this month's In Our Bag. Read more from the June Issue and see In Our Bag | The "Fix It" Tote in mag.